Thank you for contributing to support research for cardiovascular disease! 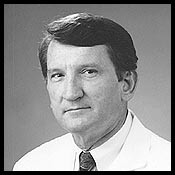 The Patrick J. Scanlon MD Cardiovascular Research Fund supports research at the Cardiovascular Institute at the Loyola University Medical Center outside Chicago. This is a non-profit 501(c)(3) organization which makes all contributions tax deductible. Make an Online Donation using a Credit Card by clicking the button below. Patrick Scanlon MD Research Fund!!! Please call the Office of Development at Loyola at 888-584-7888. Please call the Office of Development of Loyola University for more information at 888-584-7888. Click here for a Donation Reminder in the Future!